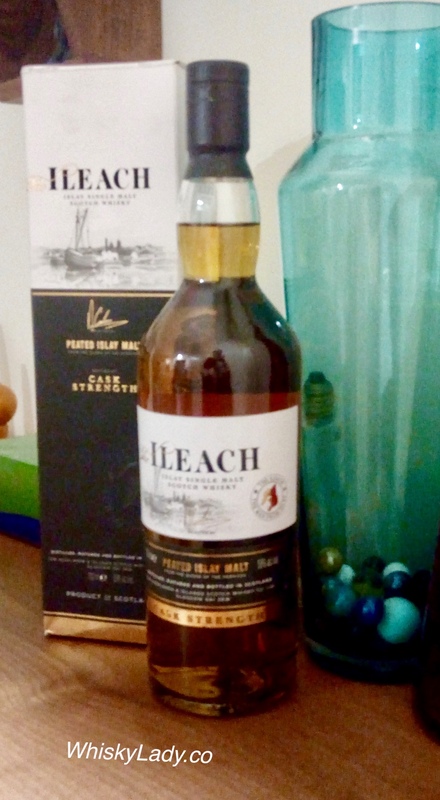 After the classic Lagavulin 16 year, the Finlaggan 40%, we moved on to bolder ground with the Ileach Cask Strength 58%. 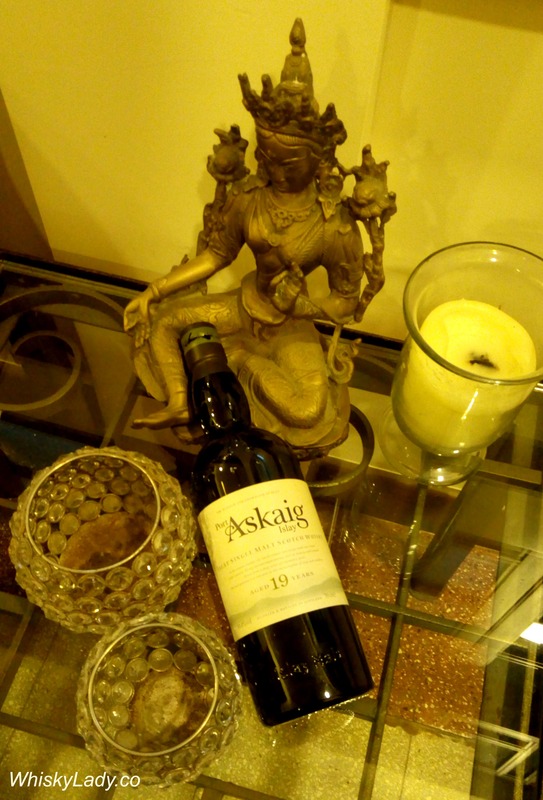 This particular bottle was purchased at a boutique liquor store in Vancouver and brought back from BC to Bombay by one of our Whisky Ladies… to be enjoyed in a special evening focused solely on Islay Iterations – all variations on a theme! So what did the ladies think of this “Man from Islay”? We kept thinking how one of our Whisky Ladies would have loved this dram! Affectionately known as our “Peaty Lady,” she missed the evening to visit family in her original home of Sweden. Which made it all the more amusing to later learn this particular brand purports to be Sweden’s 2nd best selling single malt! (PS She did manage to try this in an “off book” mini session later). 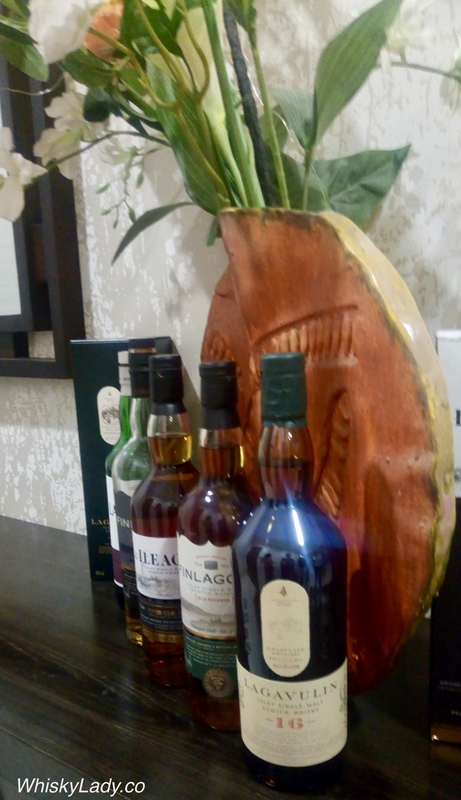 I shared that industry insiders tend to lean towards the theory that all come from exactly the same distillery – meaning we spent most of our evening exploring variations on a very specific theme – Lagavulin! With this possible element in common, different pieces of the puzzle came together – the nature of the peat being there yet not overwhelming, the slightly briney quality and the unmistakable similarity of cinnamon spice on the finish. For many, this Ileach was their favourite. A few turned back to the classic Lagavulin 16 year and some moved on to our next dram… a complete contrast with a shift to Laphroaig with its Port finish experiment. 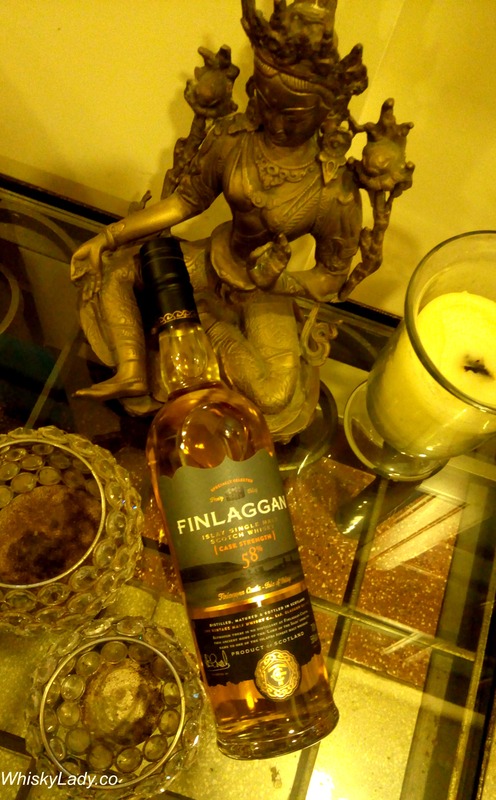 After kicking off our evening with the classic Lagavulin 16 year, the Whisky Ladies of Mumbai turned to an independent bottler with their Finlaggan entry level expression. Owned by the Vintage Malt Co based on Glasgow, their Finlaggan trio covers increasing strength from their Old Reserve at 40% to their Eileen Mor at 46% to their Cask Strength at 58%. 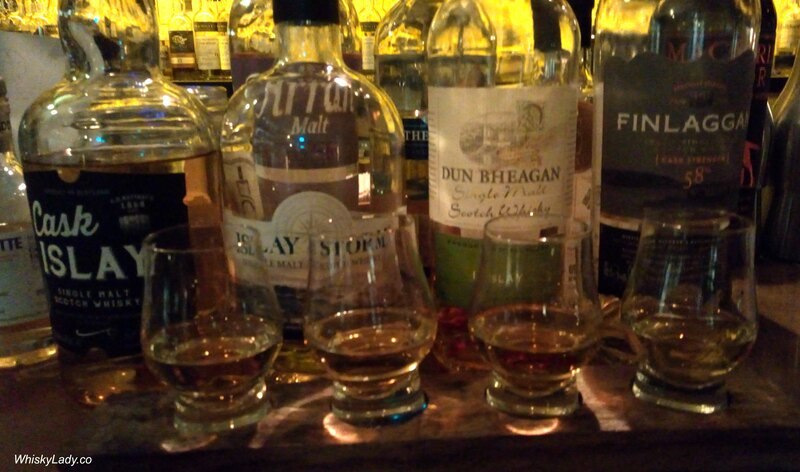 We just so happened to have two out of three to sample, of which the Old Reserve was an unopened bottle and the Cask Strength had alas oxidized rather considerably since it was 1st opened in May 2017. The distillery(ies) shrouded in mystery, the only thing clearly admitted is these are single malts from Islay. So what did the Whisky Ladies think? There is a lighter touch to the peat in this Islay – while not complex it is an easy drinking dram – pronounced a good Bombay summer whisky. 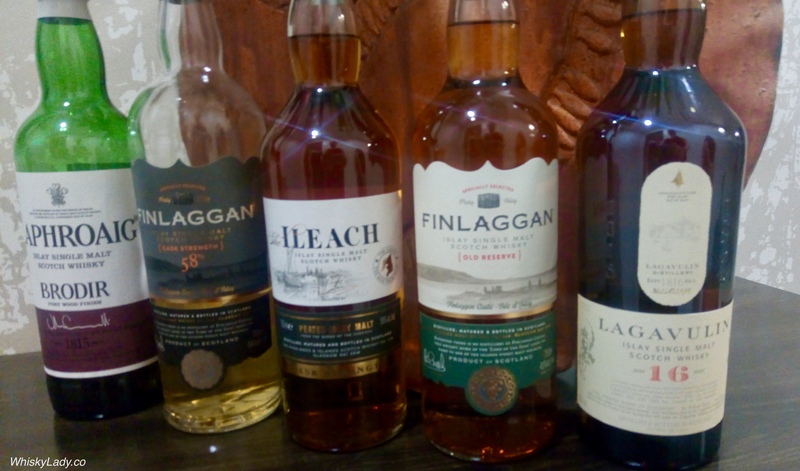 In our tasting progression, we moved on to the Ileach – also from Vintage Malt Co – then the open Finlaggan Cask Strength. Here is where tragedy struck… where once upon a time this was a marvellous malt, spending nearly a year in the bottle in the heat of Mumbai did it no favours. 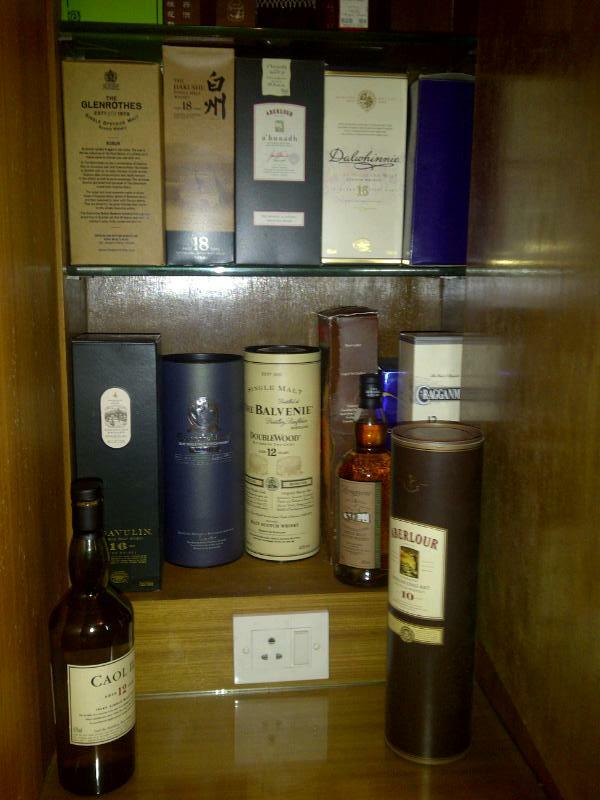 A not so gentle reminder that for enjoyable whiskies… just share and enjoy! I couldn’t help but wonder if the Eileen Mor 46% might just be the “sweet spot” in the middle – bottled at what some call the “connoisseurs” strength – enough to bring out the full character yet balanced with sufficient water to make it eminently shippable. Perhaps one of these days I’ll have the opportunity to try it. 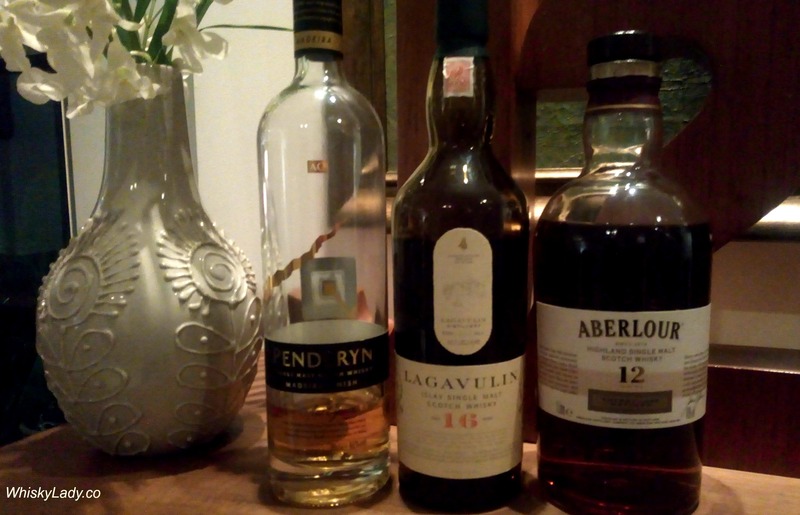 What else did we explore in our “Islay Iterations” evening? The last time the Whisky Ladies enjoyed this Lagavulin 16 year was over two years ago – paired with chocolate, brought by the exact same lady. 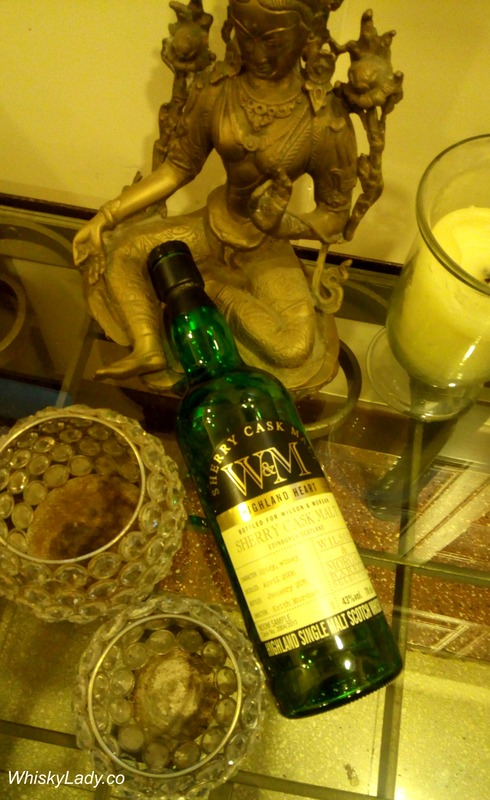 Most prefer it neat though on shared how this is one dram that can “stand up” to an ice cube, chilling it down to a more enjoyable temperature in the Mumbai heat. 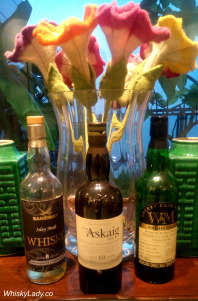 What did we explore in our “Islay Iterations” evening? Another from the tasting archives… this time from Sept 2011. 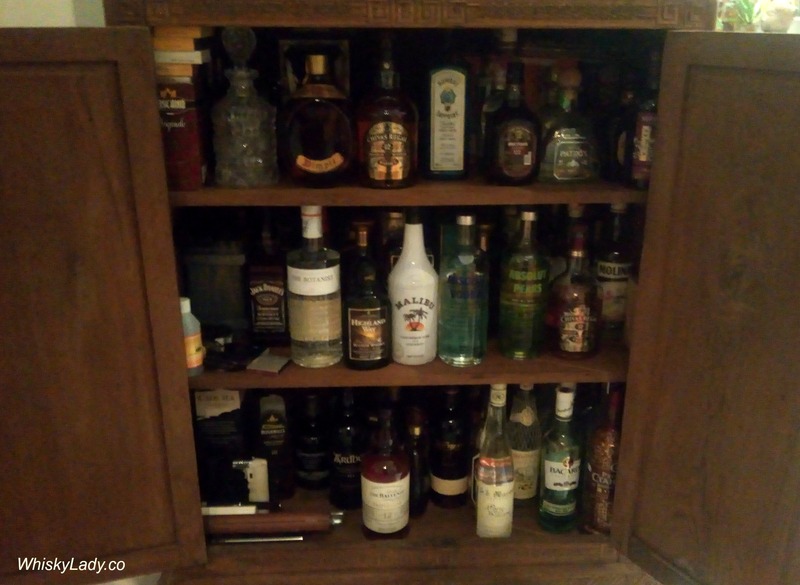 Rediscovering these notes brought a flood memories of my previous Mumbai flat… that had a fabulous cabinet in which all my whisky was stashed… now replaced in our current home by a larger storage space waaaaay up high in our kitchen pantry. We broke with tradition and merrily abandoned all pretense of blind tastings… instead settled down for a sampling of various bottles. 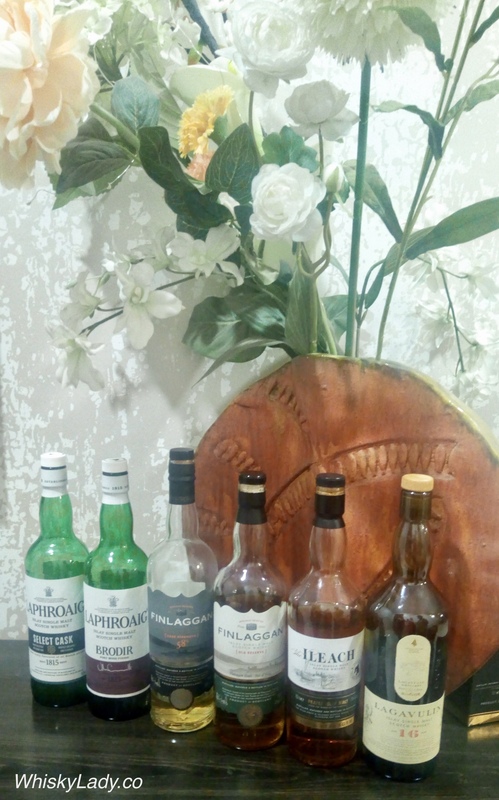 It became a popularity contest between different regions and geographies as small pegs of multiple whiskies were sniffed, swirled, swallowed, savoured and yes – much discussed! Aberlour’s cask strength Abu’nadh batch 32 (sampled earlier) and batch 31 were compared. Batch 31 was a clear winner and a hit of the evening! Bold yet with an extraordinary warm finish… with layers to discover and enjoy. Aberlour 10 year held its own with slight smokiness and butter, however was overshadowed by it’s cask strength cousin. Glenrothes 12 year (also sampled earlier) gained appreciation for its smooth fruity aroma, sherry note and oak, medium slightly spicy finish. Caol Ila is also well-known and after the last drop of one bottle was polished off, another was opened… Need one say more? Suntory’s Hakushu 18 year…. In a class of its own with hints of forest, moss, nuanced, with a divine finish – simply exquisite. It remains one of my favourites! 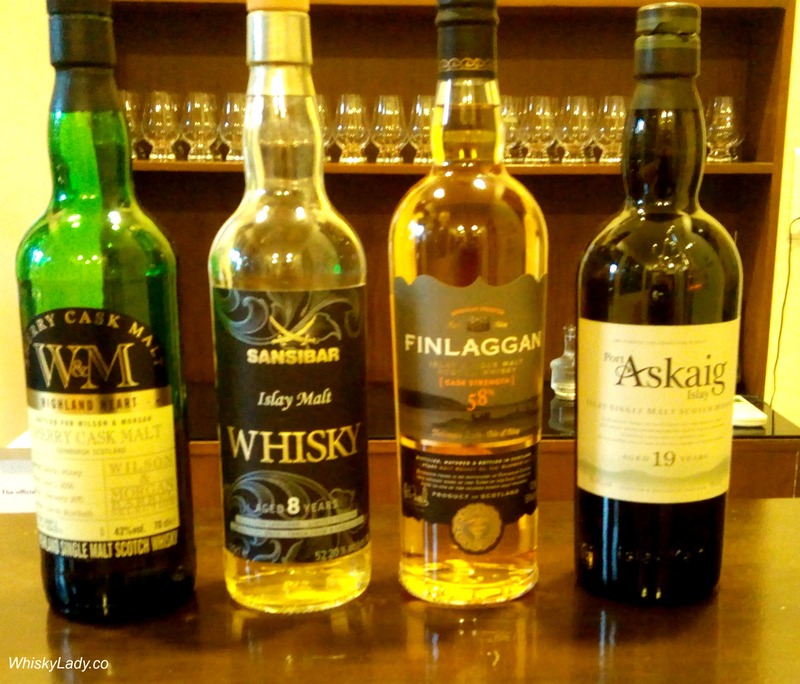 Trips to Singapore since discovering the world of whisky nearly always include a stop at La Maison du Whisky. 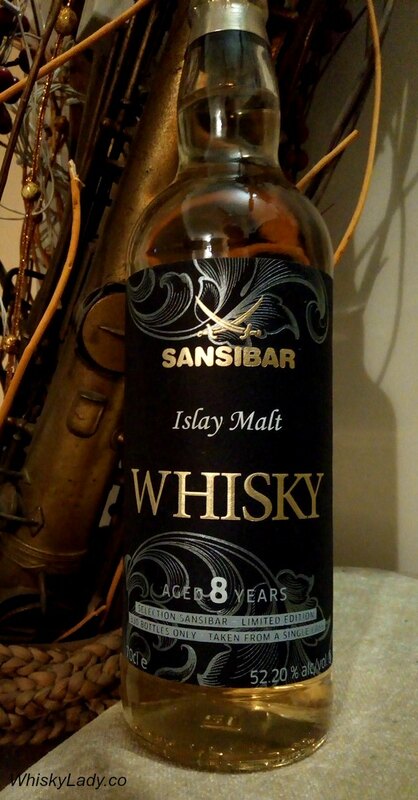 Sansibar is a new independent whisky bottler out of Germany, on the isle of Sylt, Bad Nenndorf, near the Danish border. 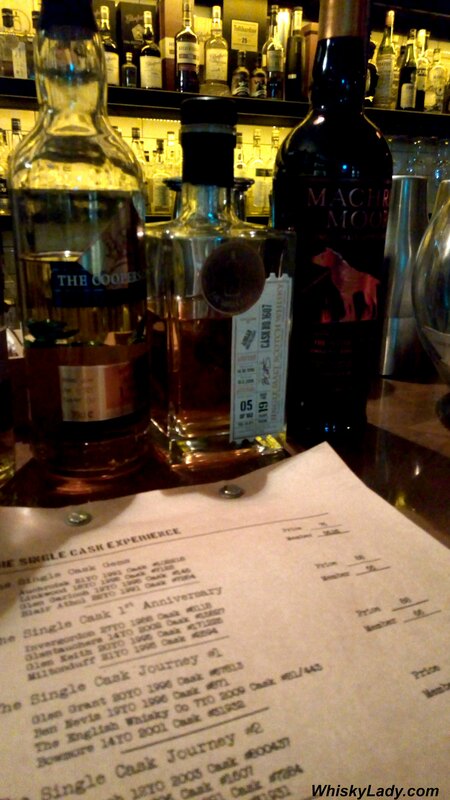 They carefully select their Scottish casks, have them bottled then brought over for their (and now our) enjoyment. Water – Unbelievable – water rounds it out even more! Though we knew it was only 8 years and a steep starter for the evening at 52.2%, found no rough edges and instead a remarkably well rounded whisky. One member speculated it must be matured in re-fill bourbon barrels. 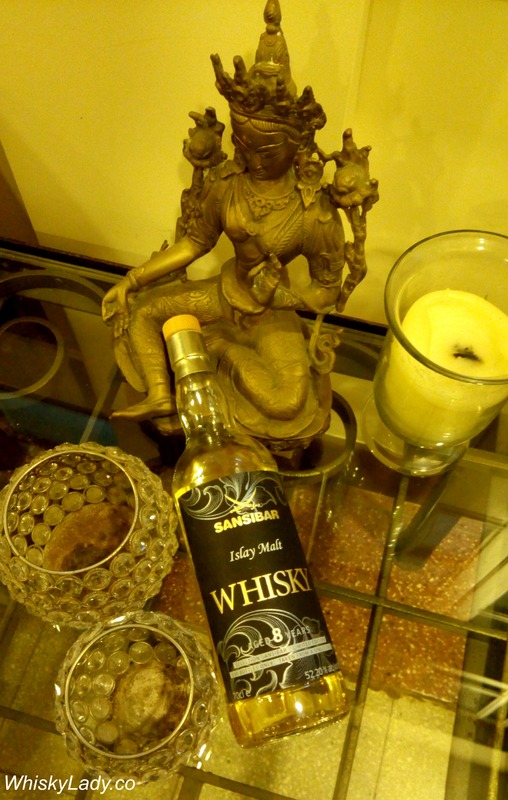 We returned to the Sansibar Islay after sampling the other whiskies and found it took on a much more nutty quality like almond marzipan, lots of cereals, rice milk and concluded, in short, it is simply a wonderful whisky. While not disclosed on the bottle, I came to know the distillery is Lagavulin. 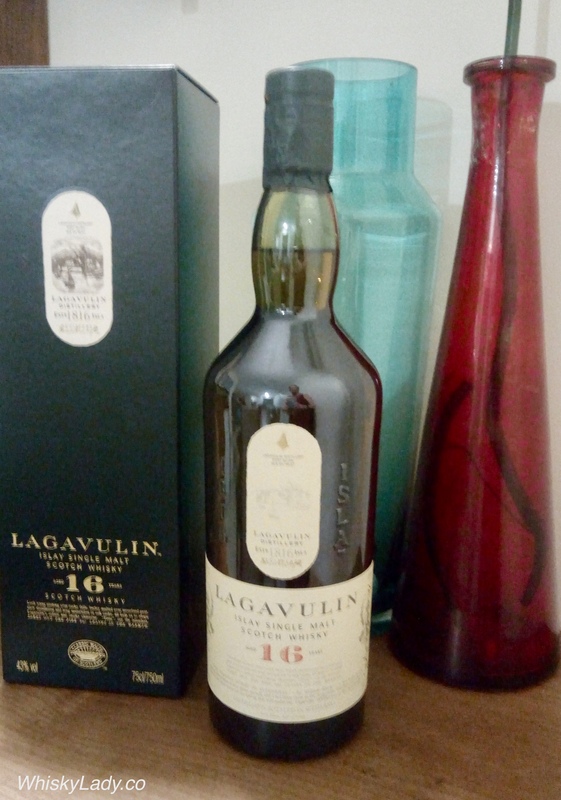 The Lagavulin 16 year was once a familiar friend and I had an opportunity to try the 8 year side by side with this one in Singapore – absolutely no comparison! The Sansibar Islay comes from a single cask with 330 bottles. If you are lucky enough to stumble across one, grab it! The palate is light in texture, with a magnificently full-on Lagavulin taste that’s even bigger than you may expect; sweet, smoky and warming, with a growing, smoky pungency, then dry, with more smoke. The finish is lovely: clean, very long and smoky. This is a polished and exquisitely crafted celebration of Lagavulin with smoky-clean aromas and a mighty taste.